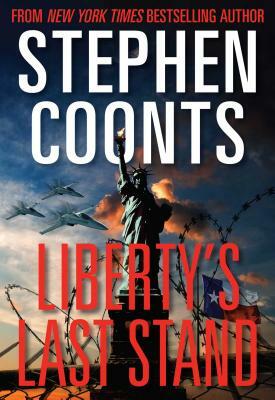 New York Times bestselling author Stephen Coonts delivers another nail-biting thriller starring CIA Director Jake Grafton and his right-hand man, Tommy Carmellini. Jake Grafton and Tommy Carmellini suddenly find themselves on the wrong side of the law when a public act of violence throws the country into chaos just before a presidential election. After martial law is declared and rioting begins, Grafton and Carmellini must risk everything to unravel a massive conspiracy and help a new resistance movement rise up against an unimaginable enemy. Stephen Coonts is the author of 17 New York Times bestsellers. Mr. Coonts' career took off with the publication of his wildly popular Vietnam War thriller Flight of the Intruder, which spent 28 weeks on The New York Times bestseller list and was later made into a blockbuster film starring Danny Glover and Willem Dafoe. Flight of the Intruder was inspired by Mr. Coonts' own experiences flying an A-6 Intruder plane in Vietnam. Born in 1946, Stephen Paul Coonts grew up in Buckhannon, West Virginia, a coal-mining town of 6,000 population on the western slope of the Appalachian mountains. He majored in political science at West Virginia University, graduating in 1968 with an A.B. degree. Upon graduation he was commissioned an Ensign in the U.S. Navy, and received his Navy wings in 1969. Mr. Coonts' books have been widely translated and republished in the British Commonwealth, France, Germany, The Netherlands, Finland, Sweden, Denmark, Italy, Spain, Mexico, Brazil, Turkey, Poland, Bulgaria, Hungary, Russia, China, Japan, Czechoslovakia, Serbia, Latvia, and Israel. Mr. Coonts and his wife, Deborah, reside in Colorado Springs, Colorado.